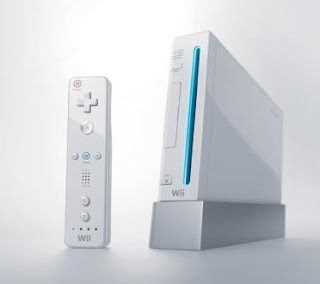 I got a Wii today!!! I've been wanting one for a long while, my friend Robert called me today and said the local Wal-Mart had eight, count 'em eight in! I've never seen one in. So I just happen to be leaving work because i'm sick (I really felt terrible) but I fought the pain and made it to Wal-Mart to purchase a Wii! I'm stoked! I am ready to play Resident Evil 4 and The Legend of Zelda.